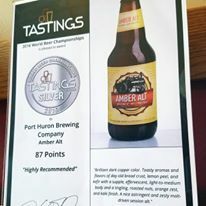 PHBC AMBER ALT SILVER AWARD WINNER 2016! We are so EXCITED to have been given the Silver Award from the Tasting Institute for our Amber Alt! !